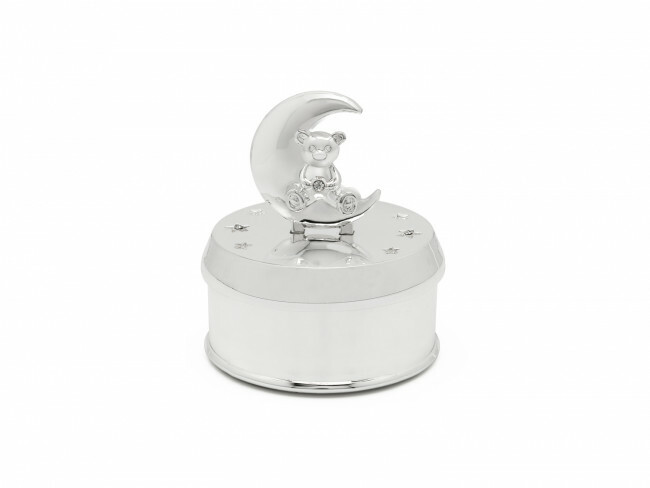 Music box w/ bear&moon silverplated lacq. Music box decorated with a bear and moon. Melody "Rock a bye baby". The music box is silver-plated and lacquered, and therefore requires no polishing. You're reviewing: Music box w/ bear&moon silverplated lacq.